No matter whether you're travelling by bus, train or plane - movement is limited during the journey. But you can do the following exercises even while sitting in the most cramped spaces and thus do your legs a favour. Vein exercises and sports keep the veins on the move: the heart pumps our blood into the body through the arteries. Once the blood has been distributed everywhere this way, it flows back through the venous system. However, our heartbeat is no longer strong enough for the return flow from our legs, so the leg muscles take over the pump work in the veins (calf muscle pump). Whenever the muscles in our calves and thighs contract, they squeeze the veins and press the blood upwards. Valves in the veins ensure that the blood does not flow backwards. If we don't move around much, or even not at all, the blood in the veins is not transported sufficiently. Those of us who stand and sit for long periods of time, risk a poor return transport of the blood back from the legs. 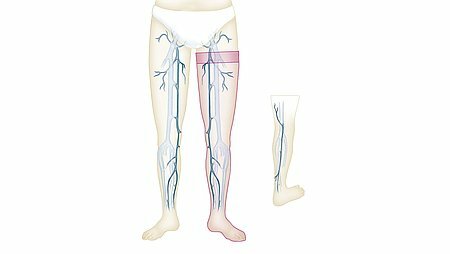 Although the consequences are merely unpleasant at first, they can develop into venous diseases. Therefore the best form of prevention for venous diseases is physical exercise. By keeping on the move, even those of us who have already had varicose vein surgery, can ensure that no new varicose veins form. People who spend most of their time sitting down should stand up and exercise their leg muscles more often. Another important rule is walk a lot and stand as little as possible. Sports such as cycling, Nordic walking and jogging are also good for the veins and the muscle pump. Moreover, the blood flow can be improved by specific vein exercises. Lift up the tips of your toes, your heels stay on the floor. Roll your feet around alternating between clockwise and anticlockwise. 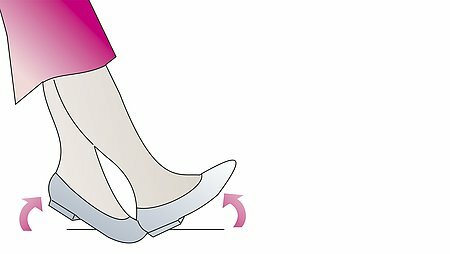 Stand with both feet on tiptoe at the same time, i.e. you lift your heels up and keep the balls of your feet on the ground. 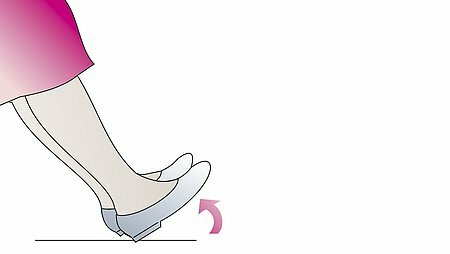 During this exercise, the heel stays on the floor and you lift the tips of your toes. 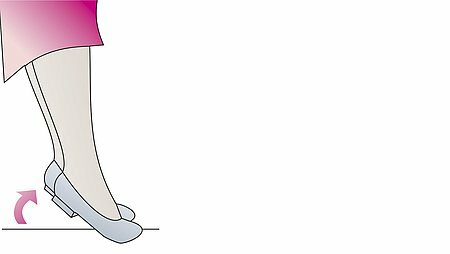 Rock your feet from heel to toe alternately. Lie on your back and pretend to cycle with your legs in the air. Pull one knee right up to your body while the other leg stays straight. Point one leg up at the ceiling and hold it in the hollow of the knee. The other leg remains flat on the floor. Sit on the floor with your legs out straight and support yourself with your hands behind you. 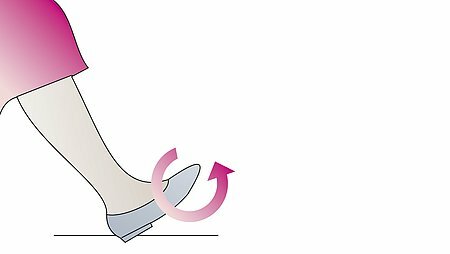 Lift up one leg up straight and rock your foot to and fro at the ankle. Move around as often as you can. Change your position more often, if possible put your feet up - (e.g. when on the telephone). Shower your feet regularly with cold water. Alternating hot and cold showers strengthen the connective tissues.